Industrial planning, factory and product management are poised to go virtual. 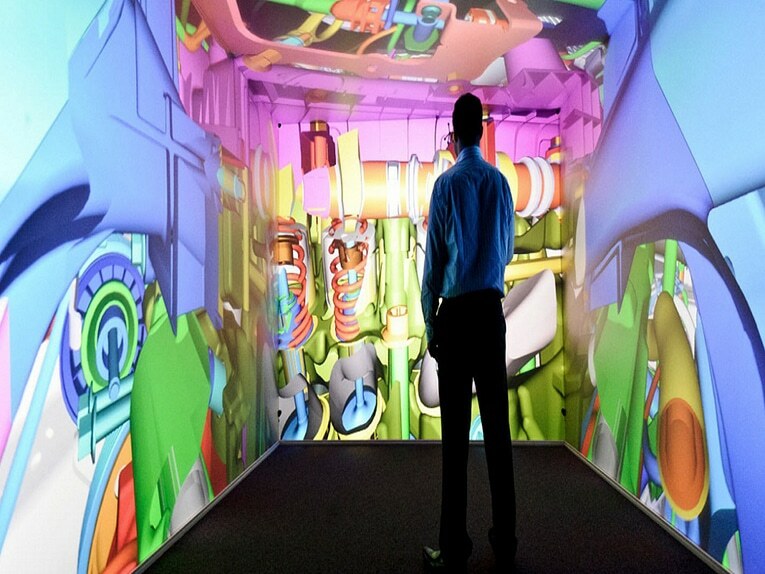 Designing a manufacturing facility is one example of a complex, multi-player process that can benefit from VR technology. It makes it possible to share massive amounts of data, create common visualizations and keep everyone on the same page. It also saves time. Jaguar Land Rover’s Computer-Aided Virtual Environment reduced the creation of a new vehicle interior from 12 weeks to nearly nothing. An even more complex application, Visionary Reader, generates stereoscopic 3D models offering interactivity and collaboration in a single environment, a real advantage for training and maintenance, as well as design and engineering.